Jeremy Clarkson is a polarizing figure. People either love him or hate him, but either way you have to admit he is entertaining to watch. 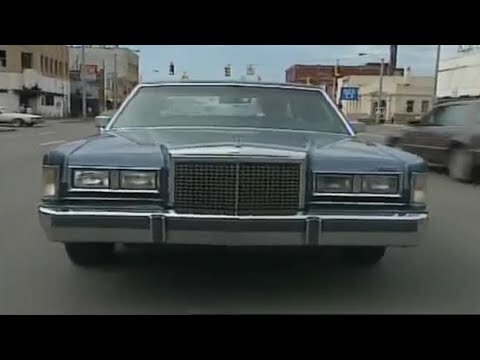 While looking for some car videos on YouTube a clip from old Top Gear appeared in my feed. This is the clip that shows both how human Mr. Clarkson is and how important a performance car can be in ones life. The Lotus Exige is an ultra lightweight sports car. Unlike other automakers that offer as many features as they can, Lotus asks how little can we put into a car. For those looking on the used market, the result is a car that weighs in at just 2,089 lbs (depending on the year). That means the small performance machine weighs about the same as a postage stamp. With the Exige in S 260 Sport form, you get a car with 257 horsepower. That makes for a vehicle with a really good power to weight ratio, but how does it compare to other high performance machines. American cars of the 1960’s are some of the best to come out of this country. Even in the early 70’s America made some very good cars. However, in the late 70’s American cars in general got very blocky, huge and build quality was on the way down. These pictures were taken by a Reddit user (by the username of DublinItUp). 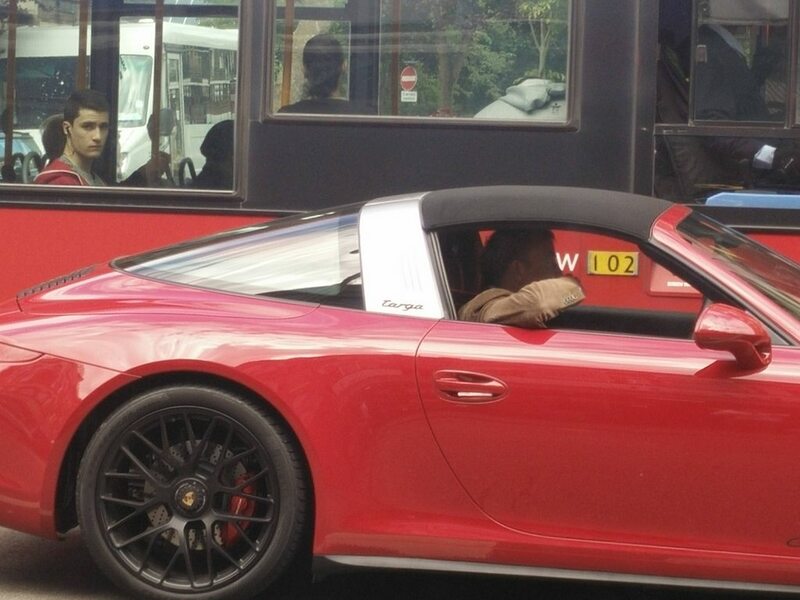 They appear to show Jeremy Clarkson driving a new Porsche 911 Targa (it looks like it is a Targa GTS to be more exact). The image started a bit of a debate on the social network as people started talking about why Mr. Clarkson would be driving a car from the German marquee. After all the former Top Gear presenter (and future host of a new automotive show on Amazon) is known as someone that isn’t a huge fan of the brand. Saying that he isn’t a fan of Porsche may be putting it mildly. He tends to dislike most of their cars for not changing their styling and generally for not being a Ferrari. 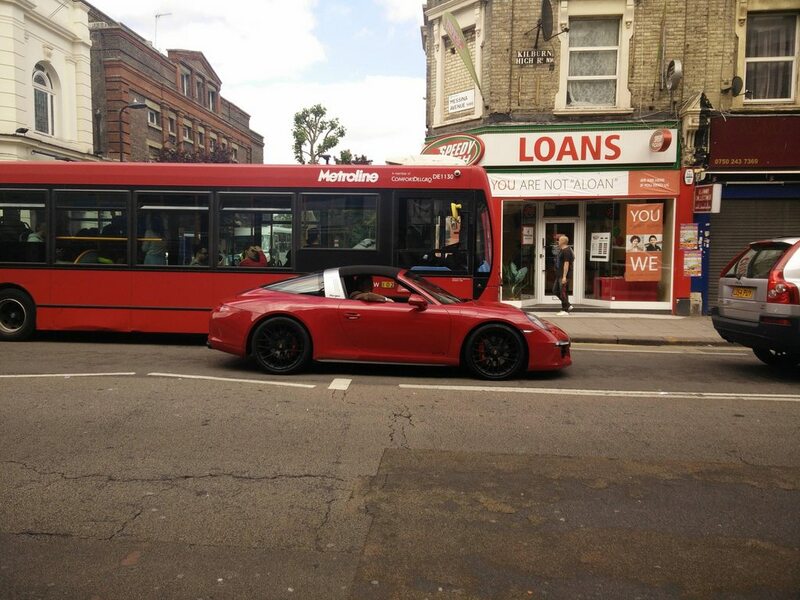 Having said this, he is a big fan of the 928 and he also said some very good things about the 911 Turbo (996). So, is it just that he plays a part on TV and deep down he likes the cars from the German performance car maker? That could be it, but we feel there may be a simple answer that is overlooked by many. 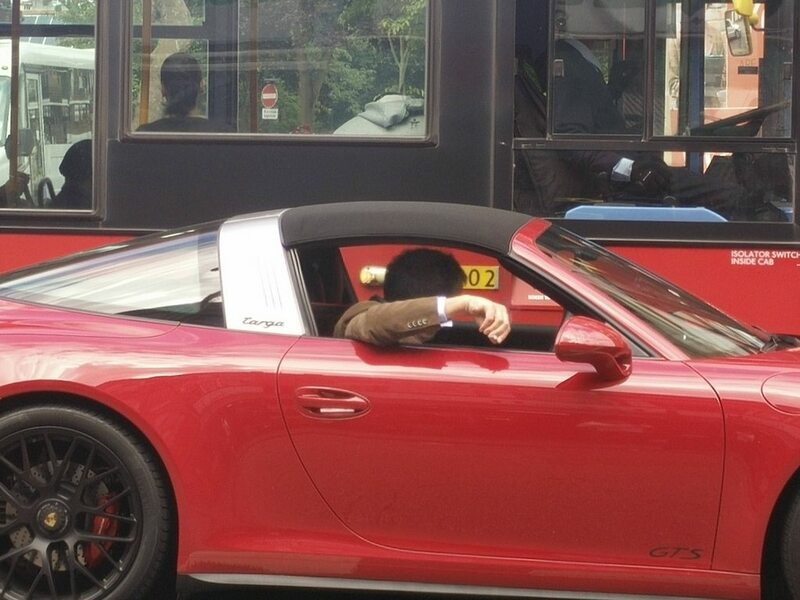 Him driving the car may say nothing about if he likes the 911 or not. It may very well just be a press car. When we have had a media vehicle manufactures normally give it to you for a week. This gives you time to learn about how it drives and to get a good idea of what to say about it for a review. This car is very likely a press car for an article and/or video footage on his new car show. That is if it is actually Jeremy Clarkson and not someone that looks a bit like him.